Sphero is the first robotic ball gaming device that you control with a tilt, touch, or swing from your smartphone or tablet. You can even use Sphero as a controller for on-screen gameplay. Sphero interacts seamlessly with mobile apps, giving you new ways to test your skills, play games with friends, and more. A Bluetooth connection makes Sphero ready to play as fast as you can launch an app. And with single- or multi-player games, Sphero will always surprise you. Acclaimed by Popular Science, Forbes, Wall Street Journal, and MSNBC and featured as one of the year's hottest gadgets by TechCrunch, Wired, Gizmodo, Engadget, and Make magazine, Sphero offers a new type of game play for the smartphone generation. Controlling Sphero from your mobile device is easy and intuitive--just tilt, gesture, or swing, and Sphero responds. Because your experience changes with every new app you download, Sphero's entertainment never stops. Sphero's reliable Bluetooth connection ensures control is always responsive and fluid, even at long ranges. You will be able to steer through homemade obstacle courses, weave it between feet, and even out-maneuver your family pet. Sphero immerses you in a new type of gameplay called mixed-reality, in which real and virtual elements are seamlessly merged together. With several free apps available for download (and more continuously being developed), Sphero provides you with plenty of gaming thrills. Standout apps include Sphero Drive, where you can choose from touchscreen interfaces like joystick, old-school RC control, and tilt mode to give you a variety of ways to test your skills and challenge friends. In a mixed-reality version of golf, you create a hole, then swing your phone to putt Sphero towards the hole. Think Sphero just rolls? Think again. Hold Sphero in your hand, start up Chromo, and move Sphero to match colors and patterns as they appear on your screen. Roughly the size of a baseball, Sphero is compact enough to slip into a bag or jacket pocket. Sphero's durable, impact-resistant polycarbonate shell allows for lasting gameplay. And with customizable colored LEDs, you can change Sphero's color to suit your mood, play in the dark, or create a team color. For further convenience, Sphero is extremely efficient. A single battery charge delivers over an hour of full-throttle play, thanks to cable-free induction charging. Sphero is compatible with a variety of mobile platforms, including iOS 4.0 or greater, Android 2.2, Android 2.3.3+, and Android 3.0+. Sphero also has an Open API (application program interface) for developers, which allows virtually anyone to program new games and apps for Sphero. The API is intuitive, so you will be able to use it whether you are a seasoned developer or a novice app programmer. With this included app you can familiarize yourself with Sphero's personality, give Sphero commands, and gain access to basic Sphero driving functions. See where you stand on leaderboards and achievements. Even discover new apps as they roll in. Use the Drive app to move Sphero with joystick, tilt, or old-school remote controls. Create challenging courses, race against friends and family, or turn out the lights for a little night racing. With The Golf App, Sphero is the ball and your phone is the club. Create a "hole" then swing your phone or swipe a finger to hit. Challenge friends to a round of office golf, create your own course at home, or venture out and make your own course practically anywhere. The SpheroCam App allows the built-in camera on your device to record video or take snapshots while you simultaneously drive Sphero. Will your SpheroCam video go viral? Record, upload, and find out! Use your finger in this app to trace a shape or path on the screen and Sphero will follow it before your eyes. Just give your smartphone or tablet a shake to clear the slate. Even make Sphero change colors as it rolls by using the integrated color wheel. Get ready to challenge your coordination and memory with the first app that lets you use Sphero as a controller. Move Sphero to match the colors on your screen for an entirely new way to challenge yourself. You can choose from six different game modes. The MacroLab App allows you to create easy, repeatable programs and macros for Sphero. Arrange simple commands and settings in any combination you choose to let Sphero drive autonomously, follow unique patterns, and more, all while learning basic programming. Play your commands, save favorites, and even share them with friends. 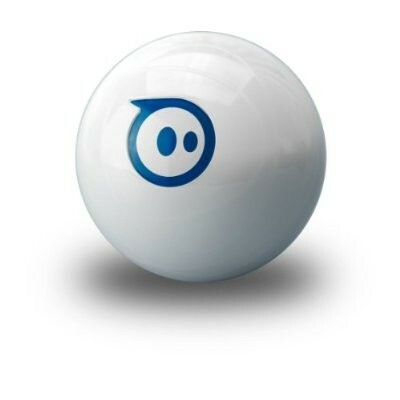 MacroLab makes programming Sphero easy and fun.